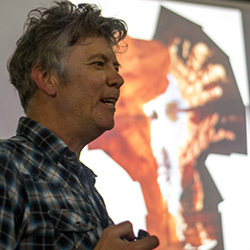 Dave Green is a Photographer, Artist and Educator working mainly in the Cultural Heritage sector. His photographic skills developed whilst studying Graphics, in Northampton, and progressively answered design briefs photographically. This was followed by an HND in Photography in Swansea. After leaving college Dave began a freelance editorial photography career and started to teach photography. He is now a qualified teacher with 20+ years’ experience, most of which was in full time FE in Northampton. 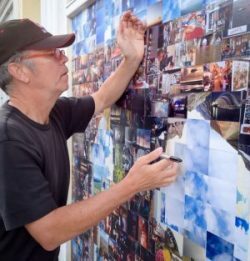 Dave also gained much as a teacher and photographer through a Fulbright Teaching Exchange to Tucson Arizona in 2003/4. He is based in Bideford, North Devon with a local, regional and national client base. In 2019 I will have been working in photography for 30 years – I’m just happy to still be here, working in the medium that I love. I’ve ridden all of the technological changes through this time and I’m still learning my trade, progressing with progress, seeking out new challenges, forever questioning, striving for perfection and being the biggest critic of my work. That happiness is obtained through the balance of commissioned work and personal work: Commissions can be for as long as years or as small as an evening, but they always challenge, have me thinking out of the box, knowing that I have a client to please, a result to obtain, a standard to achieve that I need to obtain! Increasingly this work has fallen into the Cultural Heritage sector; photographing artwork, paintings and sculpture; photographing objects in museum collections, digitising historic photographic collections. I also find commissioned work in the Performing Arts sector; music and theatre groups predominantly. My personal work is where my ideas are played out and I get the chance to explore. Here I can fail to achieve a self-set goal with no fear, because success is ultimately obtained through trial and error. This work, if considered successfully realised, is often exhibited as Fine Art. My latest photography in this category ‘Green and Pleasant Land’ is a series of ‘straight’ images exploring the forgotten tracts of non-productive or set-aside land in lush, North Devon. Over the last 20 years my personal work and much of my commissioned work can be considered constructed or combined photographs. I have been adding two or more images together from the early 1990’s, to the present day where I’m stitching a multitude of digital files to make a seamless whole. Last century I was drawn towards panoramas achieved by shooting consecutive 35mm photographic frames and printing them from a huge colour enlarger in totally blacked out darkroom. These were triptychs and polyptychs. With the birth of a new century I wanted to embrace the new photographic technology of digital, still in its infancy, and set out to make photographs that could not be realised using film. Stitching and seamless blending of pictures has been my trademark, but unlike many of the manipulated fantasy images seen today, mine is a search for reality, and I strive to construct my images truthfully to my memory of place. The images are made from up to 200 separate photographs, of different exposure, angle of view and framing, all from a fixed point to give the detail from the deepest blacks to the brightest highlights in this extremely high contrast scene. My intention is to be true to what I see, or what I remember of a place as I observe all that is around me. Making an image from many photographs has the advantage of size; and I’ve started to reap the rewards of this with commissions for images to be used to adorn the walls of business premises.